By the late 1970s opposition to visits by nuclear-armed or -propelled warships to New Zealand ports had grown. The government welcomed the visits from US vessels as part of its ANZUS obligations. Opponents saw them as a symbol of possible nuclear annihilation, and argued that New Zealand should make a moral stand and ban such visits. They launched protest flotillas to 'greet' visiting nuclear warships and hinder their passage into port. 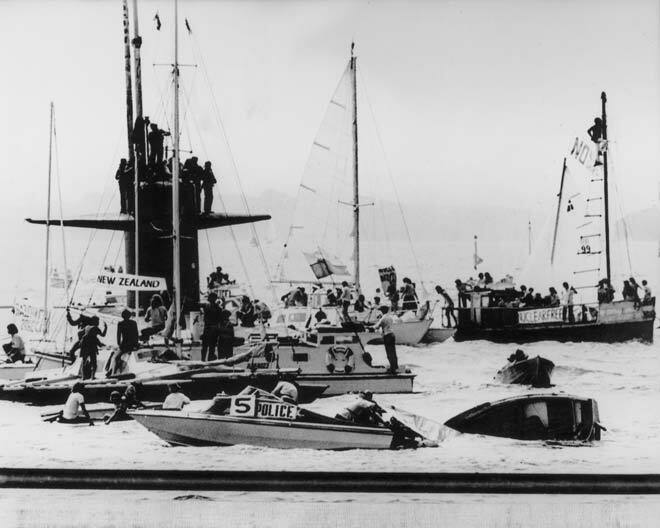 This is an Auckland protest against the submarine USS Haddo in January 1979.